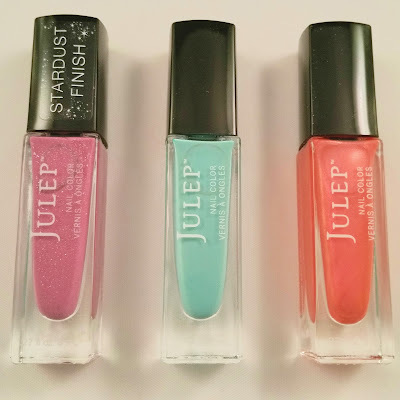 This month, Julep released the regular nine polishes as well as an exclusive add-on and brought Ginger back from the vault. On top of these great polish options, they added some amazing new products: Rethink Your Shower (cleansing oil) and a body Konjac sponge (It's Fun to Exfoliate) as well as Your Cuticles Look Thirsty (cuticle creme) and Brighter is Better (nail brightener). 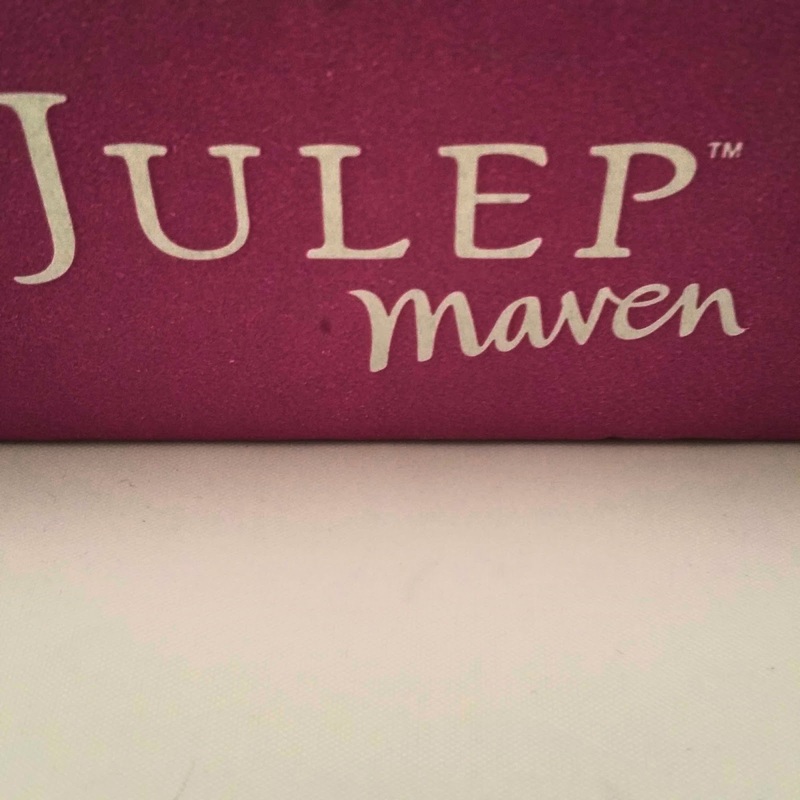 If you haven't signed up for Julep yet, check out all of the Welcome Boxes that are currently available here. 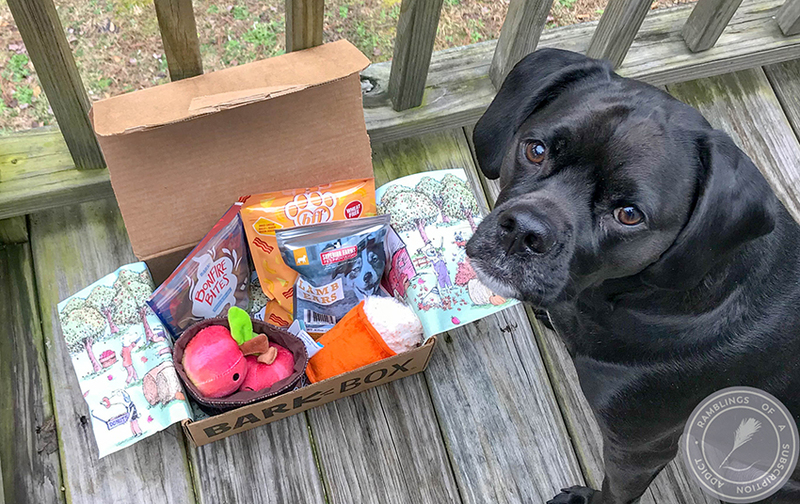 It was a small box for me this month, but I did remember to do my monthly selection so I knew what I was getting! Quote card, coupon code, and candy! Mara (It Girl) - Thistle blossom Stardust. 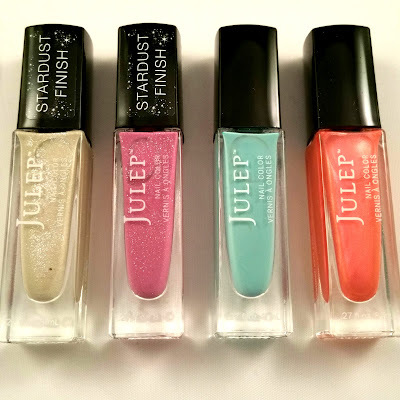 I absolutely love the Stardust Finish polishes Julep releases. I (think) I have all of them and I have bought duplicates of some. They stay on me forever and I love the great texture of them. 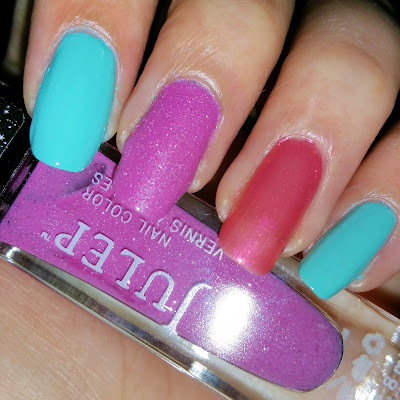 Alyssa (It Girl) - Beachside turquoise creme. There were some serious high hopes for this polish, thanks to my huge love of Julep's cremes. 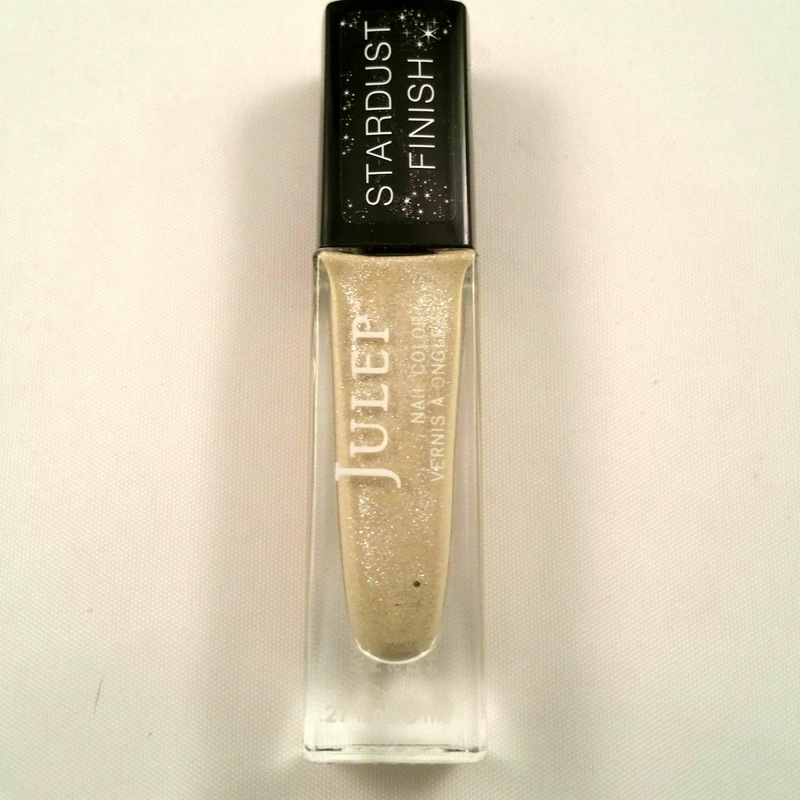 It's a gorgeous color, but the formula is a bit frustrating and didn't want to level out easily. 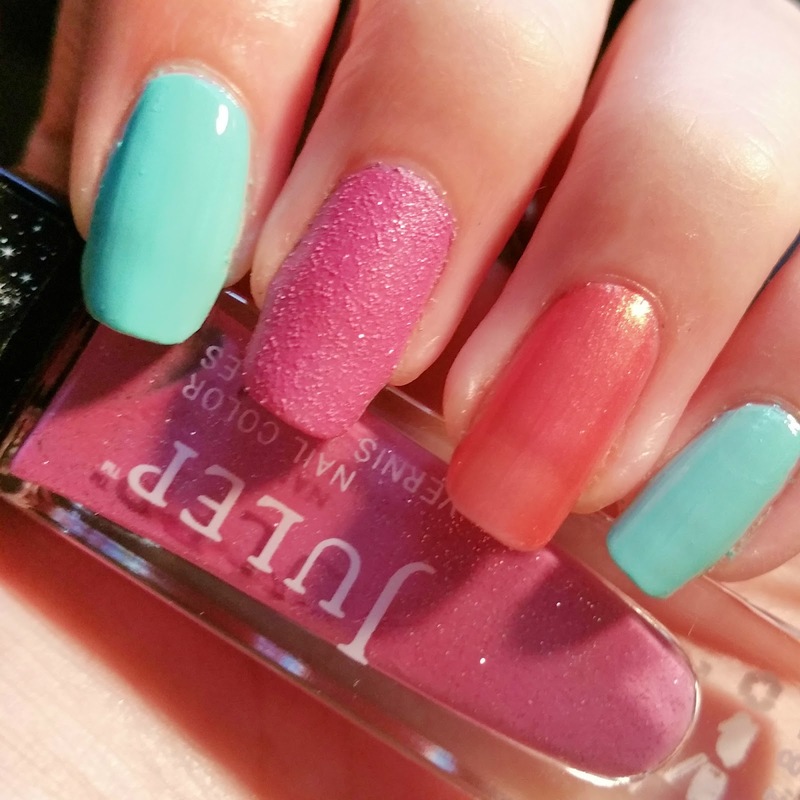 Juliana (It Girl) - Pink grapefruit sheer iridescent. I really only got this polish because I haven't upgraded to MyMaven yet, but I'm really glad that I did. I would have missed out on something great. 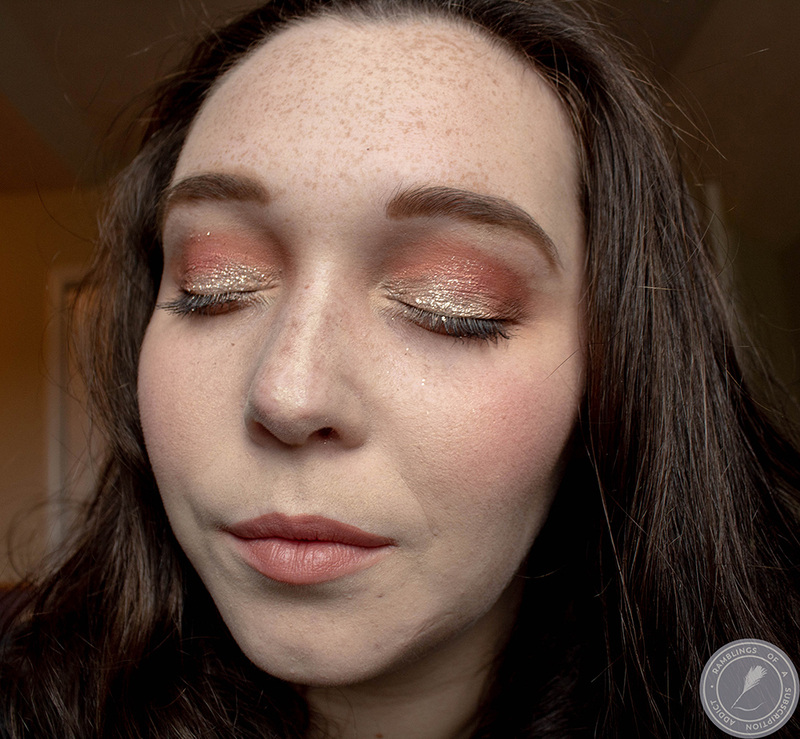 There's just enough orange that makes me feel like I'm wearing something different than my usual colors, so I feel super daring! Corinne (Bombshell) - Sandcastle Stardust. Yeah, Julep knew I would buy more than one Stardust polish if they released them. I don't have many tan/brown polishes but this is a fav of mine now! 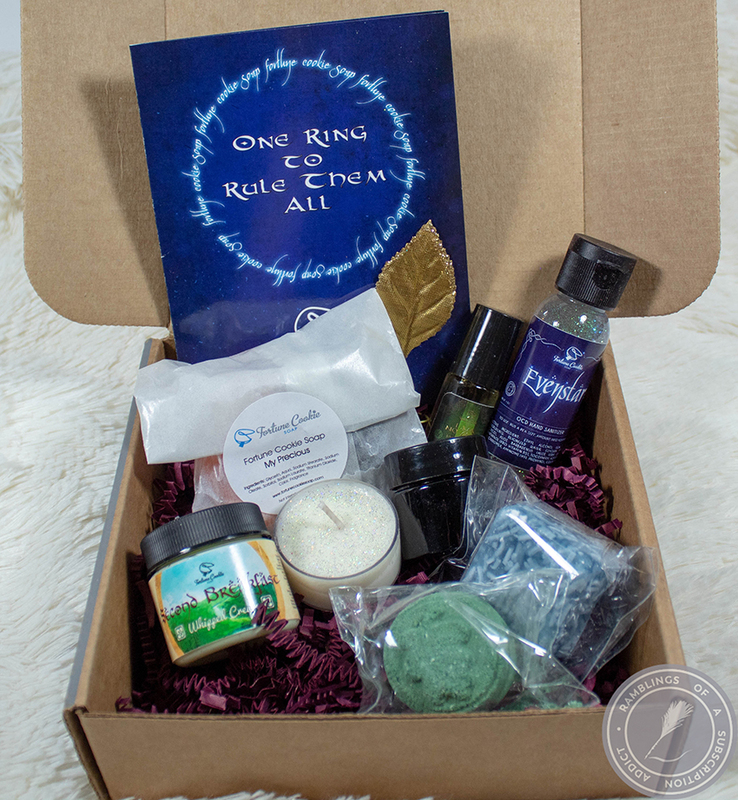 Since I was able to choose my polishes this month, I definitely knew I would love most of the box before it even came in. Still, there's always the chance something won't look good on me or that I won't like the formula, so I'm still super happy after trying these out and getting my choices. If you haven't subscribed to Julep yet, be sure to check out all of the Welcome Box offers here.